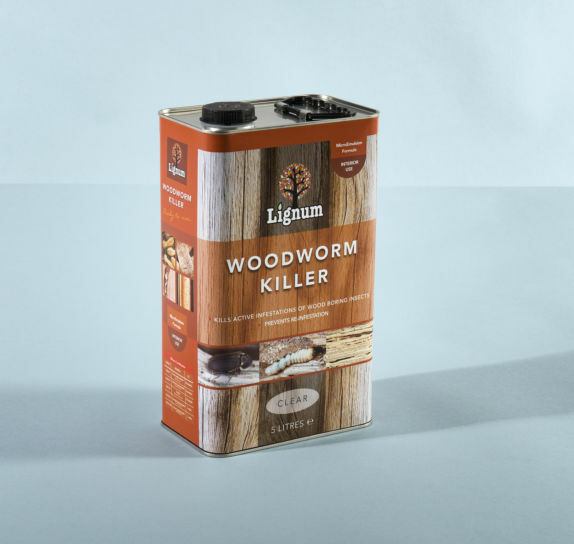 Lignum Universal Wood Preserver penetrates deep into timber to protect it from wet rot, dry rot, blue-stain fungi and woodworm. It's advanced micro-emulsion formulation combines two fungicides with an insecticide to offer lasting protection to vulnerable timber elements. This ready-to-use preservative is ideal for both DIY or professional use. Open up and make accessible as much timber surface as is practical; e.g. lift some floorboards to gain access to both top and bottom surfaces of floorboards and to flooring joists. Apply at the rate of 200ml/m2, using 1L of fluid to protect a surface area of 5.0m2 (one 5L tin to protect a surface area of 25m2). 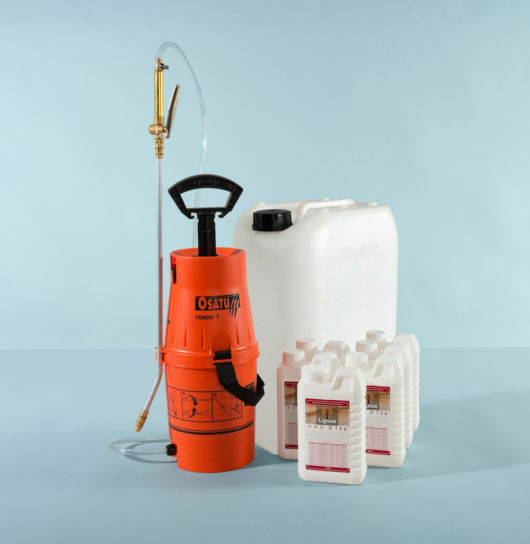 Apply diluted fluid at the rate of 300ml/m2, using 1L of fluid to protect a surface area of 3.3m2 of infested timber (one 5L tin to protect a surface area of 16.5m2). Drying: Subject to timber and ambient conditions the product is touch dry after 1 hour and should be suitable for overpainting, varnishing or staining after 24 hours. Unprotected persons and animals should be kept away from surfaces treated with Lignum Universal Wood Preserver for 48 hours or until dry.